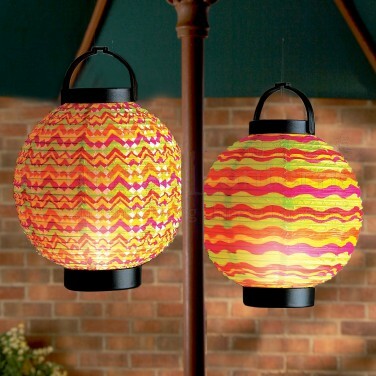 Bright, colourful and lit with LEDs for a magical glow, atmospheric summer paper lanterns come in two vibrant designs! 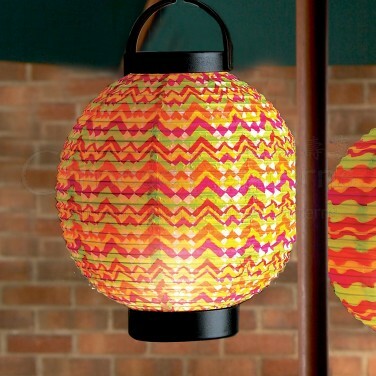 Bright, colourful and full of fun these traditional styled concertina paper lanterns are lit with three bright white LEDs for a warming atmospheric glow. 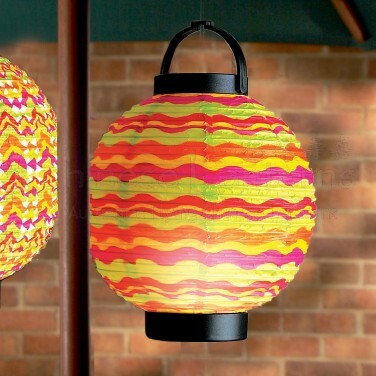 With an 18cm diameter and battery operated, these paper lanterns are ideal for decorating your home or garden in sheltered areas adding a playful Chinese feel with vibrant colour and delicate light.